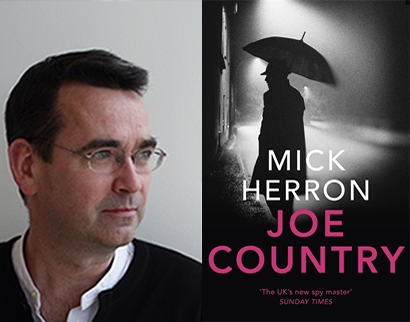 Join bestselling spy novelist Mick Herron as he talks about his new book Joe Country, the latest instalment in his highly acclaimed Slough House series starring Jackson Lamb. If Spook Street is where spies live, Joe Country is where they go to die and as Jackson Lamb’s crew of misfit exiles emerge for the sixth time, it looks likely not all of them will return from the field. Kicking off with 2010’s Slow Horses, Mick Herron’s Slough House series has lit a match under the British spy genre. With its world-wary coterie of misfits and starring the cunning Jackson Lamb, Herron is now at the front rank of espionage fiction . We’re delighted to welcome the spymaster to Booka during Independent Bookshop Week! Tickets: £5 (redeemable against a signed copy of Joe Country). Includes a glass of wine / soft drink on arrival. Tickets available from the bookshop, or purchase online (with booking fee).